Another British Morrissey, actor David Morrissey, best known for his role as The Governor on AMC's The Walking Dead, has been tapped to narrate the audiobook version of singer Morrissey's newly-released Autobiography. As first reported by True To You, the audiobook will arrive Dec. 5 via Penguin Classics, complete and unabridged, as a digital download. It is unclear at this time if the audiobook will be available worldwide or only in Europe, as the print edition will not be available stateside until just two days earlier, Dec. 3. 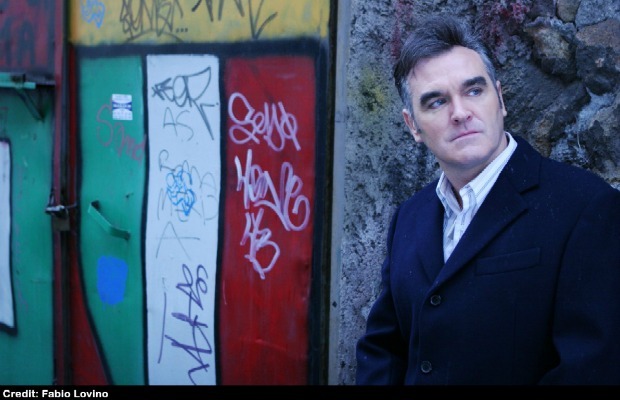 Though Autobiography was published in Europe under the “Penguin Classics” banner, at Morrissey's demand, a topic that sparked some controversy, it will first arrive in the U.S. though Penguin imprint Putnam. Though they share a last name, actor David Morrissey bears no relation to singer [Steven Patrick] Morrissey. Autobiography debuted at number one on the U.K. book charts last month, smashing sales records to become the fastest-selling music memoir in history. Subject to mixed reviews, the book reveals previously unknown details about the singer's sexuality, personal life, relationship with the media and press, thoughts on his former band, The Smiths, and insight into his upbringing. A concert film, Morrissey: 25 Live, also saw its worldwide release last month. In unrelated Morrissey news, the singer was mysteriously treated for “concussion, whiplash and an arm injury” earlier this week at a Los Angeles hospital, and has reportedly been discharged.